Hello Lovelies! Happy July! One of my favorite accessories year round, but especially during summer is great pair of statement earrings. Heavy statement necklaces in the heat are just no fun and usually make me feel hotter, but a great pair of summer statement earrings give you that same statement element without too much added weight. One of my go to places for statement jewelry in general is Baublebar. They especially make such fun and colorful statement earrings. Also, if you want to save a little, I highly recommend checking out their Target line Sugarfix. I own many pairs from this line and can vouch for the quality. Many of their most popular pieces from their main line can be found in a nearly identical, but more affordable version in the Sugarfix line. My second go to is Kendra Scott. Her new line is AMAZING! I included two pairs in this round up. They are a bit on the pricier side, but my Kendra jewelry holds up really well over time. Kendra Scott also sells a product called Lobe Wonder which I recommend if you worry statement earrings might be too heavy for you ears. 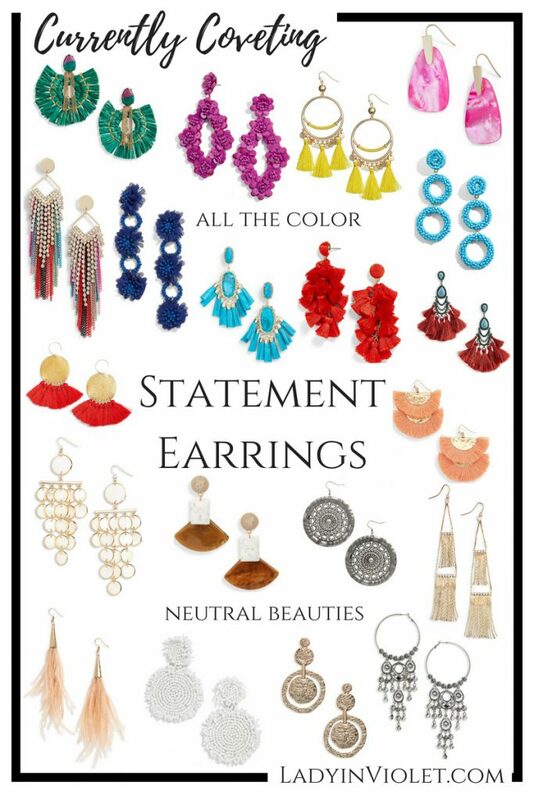 For today’s fabulous list of my top 20 summer statement earrings, I found fun colors featuring fringe, beads, tassel, and stone. I love mixing the colors in with my neutral outfits for a color pop. I also love to do a color mix like mix pink earrings with a yellow dress or turquoise earrings with a hot pink top. It’s a fun and easy way to add more color to your summer outfits. I also included some gorgeous neutral statement earrings from silver and gold metals to whites to pretty shades of brown and beige. Statement earrings usually make people think of the bold and bright colors, but a gorgeous gold fringe stunner can still the enhance an outfit just as well. These neutral statement earrings work with colorful prints, bold solids, and create a sophisticated feel when added to a neutral outfit. I hope you find something here to perfectly compliment your summer wardrobe! Ya’ll have a great rest of the weekend and thanks for stopping by! 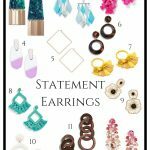 I am loving statement earrings this summer! We had a heatwave this past week and it was sp easy to just put on a great pair of earrings and skipping the necklaces. Great picks!